LandSmart Plans® assist landowners and land managers in identifying and prioritizing management practices according to their individual needs, goals and timelines. The planning process balances the landowner’s management goals with practices that preserve and enhance natural resources, delivering a plan that is both informative and actionable. LandSmart Plans are a great way to help comply with regulatory requirements (such as Waste Discharge Requirements or Conditional Waivers), enhance sustainability efforts, and plan for the future of your property. The developed plan and associated maps generated from the process are managed by the landowner and kept on the property. The RCD can also offer assistance with LandSmart On-the-Ground projects identified in plans. For more information on our regional LandSmart efforts or to download a plan template visit landsmart.org. In 2017, the RCD launched a forestland plan template to better assist forest landowners and managers in identifying and prioritizing management practices according to their individual needs, goals, and timelines. 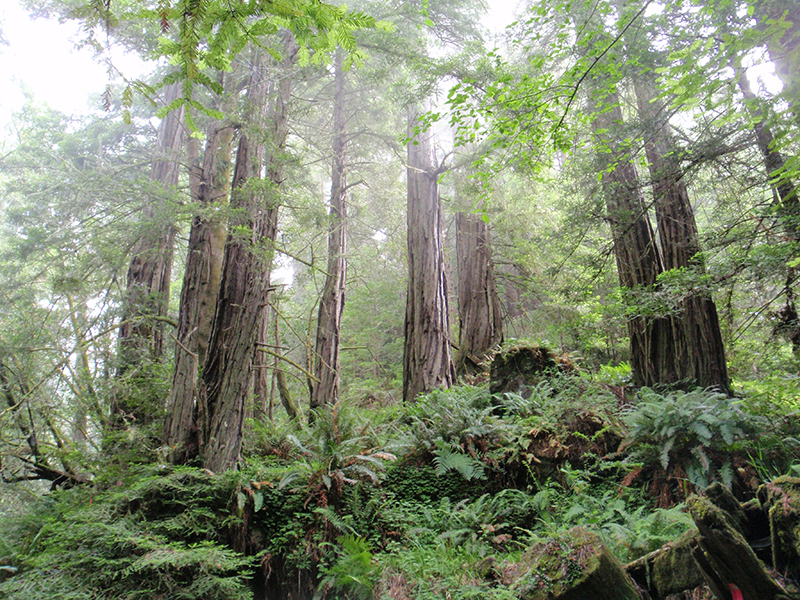 Plans developed for forested lands cover all content areas required by a California Cooperative Forest Management Plan, with additional emphasis on carbon beneficial practices. 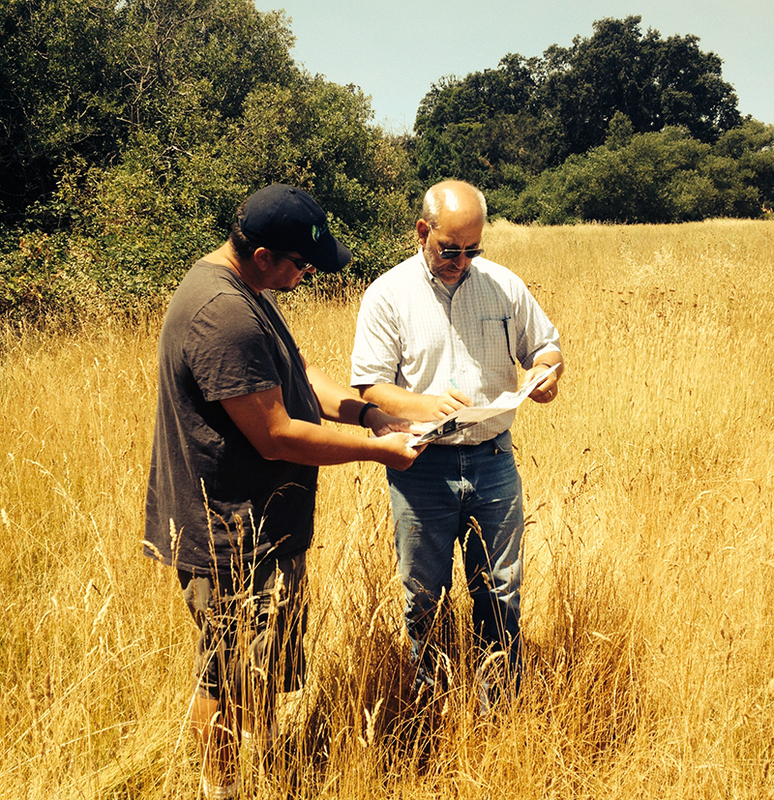 These plans are designed to meet the requirements for grant and cost-share agreements, as well as other provisions available through CAL FIRE, NRCS, USFS and the American Tree Farm Association. The RCD’s approach to land stewardship is proactive, practical, and they are always able to work with me to find affordable, simple solutions for my projects. 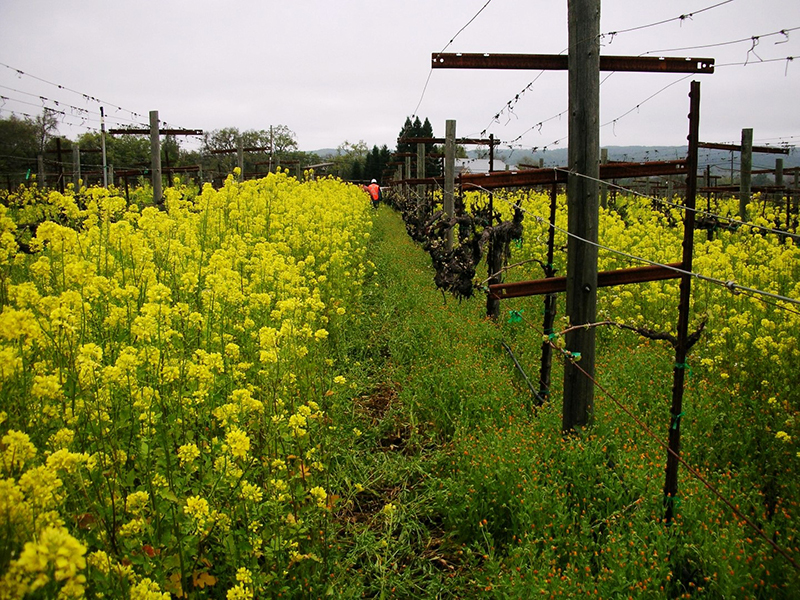 The California Sustainable Winegrowing Alliance values the partnership we have enjoyed with the Sonoma RCD over the years, including sharing networks and expertise to enhance winegrower education and having their “boots on the ground” to help winegrowers implement practices that protect soil health and conserve natural resources. 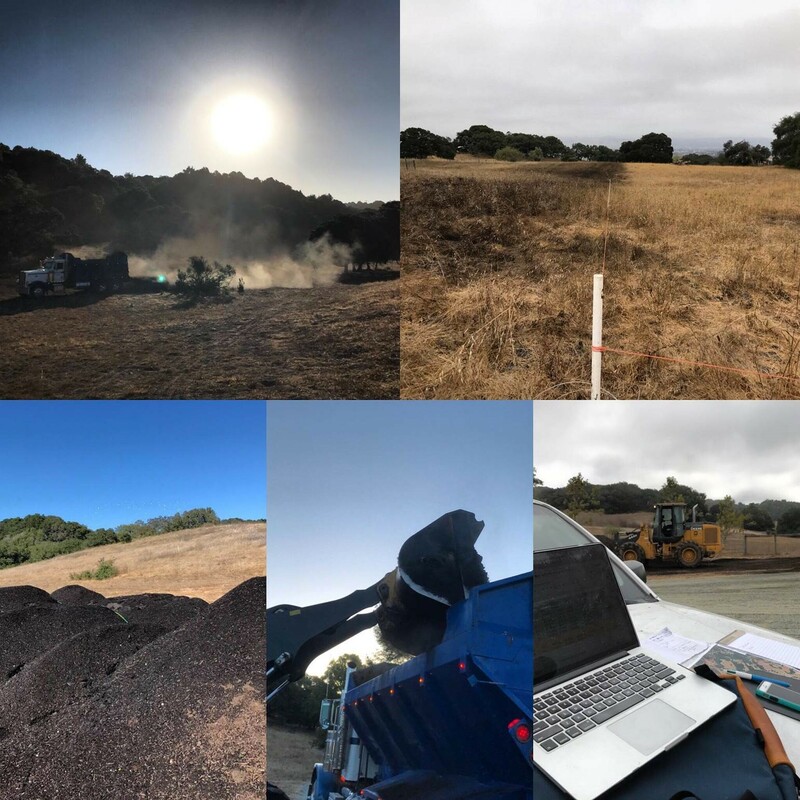 By utilizing the LandSmart program and partnering with the collaborative Sonoma RCD team on the recent Region 2 Waste Discharge Requirement for Vineyards, we were able to offer the additional resources needed to serve more winegrowers impacted by the permit. Watershed management requires the input and collaboration of multiple stakeholders. To be successful in managing a watershed, the RCD coordinates amongst diverse partners, agriculturalists and residents to assess and identify solutions to the most pressing needs of natural resources and people. Comprehensive watershed plans have been drafted in many of our district’s watersheds, and these plans often drive future projects. The Petaluma River watershed and wetland system has been a significant force shaping the past, present and future of the region. 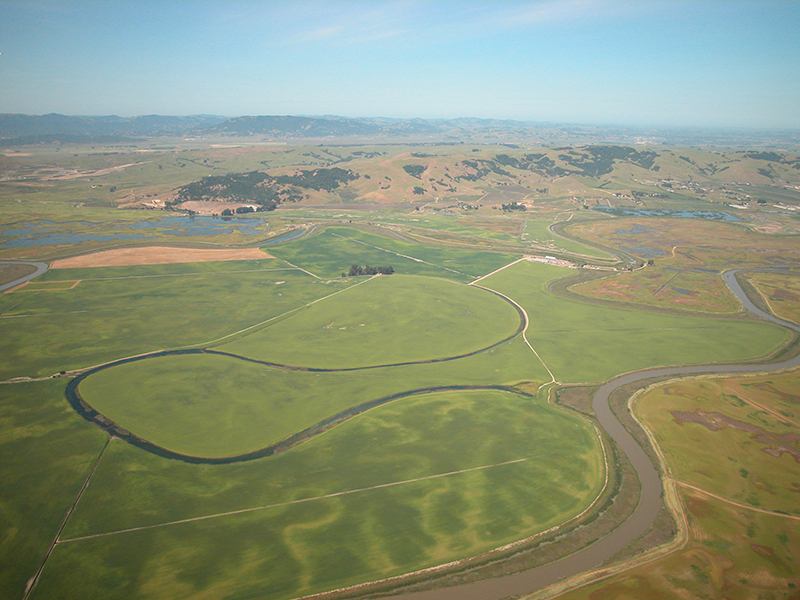 In partnership with the San Francisco Estuary Institute – Aquatic Science Center and funded by the Environmental Protection Agency, the RCD has begun producing a Petaluma Watershed Historical Hydrology Study. When finalized, this report will help identify and prioritize multi-benefit restoration opportunities in the watershed, while filling a critical gap in the integrated picture of historical conditions in the North Bay. The motivation for this study came from contemporary challenges identified within this watershed: flooding, sediment deposition, pollutant loading, habitat degradation and wetland loss, groundwater recharge needs, saltwater intrusion, and the fact that historical changes have not been consistenly documented. This is an opportunity for using the past to better understand the present watershed, when making decisions about restoration. The study will not recommend recreating of the past, but rather guide an attainable vision for the watershed’s future. Portions of Schellville and surrounding areas, in southern Sonoma County, California, are frequently flooded during relatively small winter storm events that cause flows to overtop the banks of Sonoma and Schell Creeks. Recurrent flooding has caused economic loss and considerable damage to private property and roadways. The RCD undertook the management of the Lower Sonoma Creek Flood Management and Ecosystem Enhancement project to identify and evaluate opportunities to address flooding issues and ecosystem enhancement. 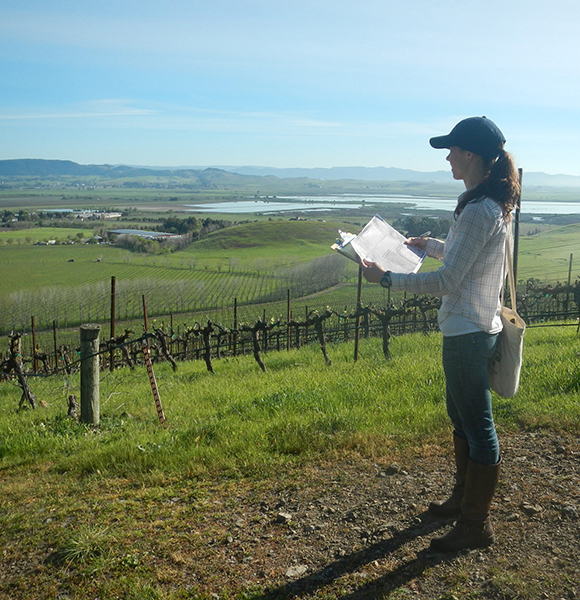 The study focuses on the southern portion of the Sonoma Creek watershed, within the reaches of Sonoma Creek and Schell Creek from immediately upstream of Highway 121 to San Pablo Bay. The study was funded by the US Army Corps of Engineers, California Coastal Conservancy and the Sonoma County Water Agency. Consultants, ESA PWA, performed the basin hydrologic investigation, developed the hydrodynamic model, and performed the technical analyses and evaluation of project elements/alternatives, in addition to participating in public outreach with stakeholders. Watershed Sciences performed a geomorphological analysis and assessment of existing drainage system as baseline information. Public involvement and outreach to stakeholders was an integral component of the technical studies. The goal of the study was to identify a project or projects to alleviate flooding and reduce flood-related damage to public facilities, structures, roads, railroad tracks, pasture lands and crops while restoring and enhancing habitat and improving ecological and hydrological functions. The primary focus of the study was to develop a project concept to accomplish flood management and habitat restoration in the Schellville area. 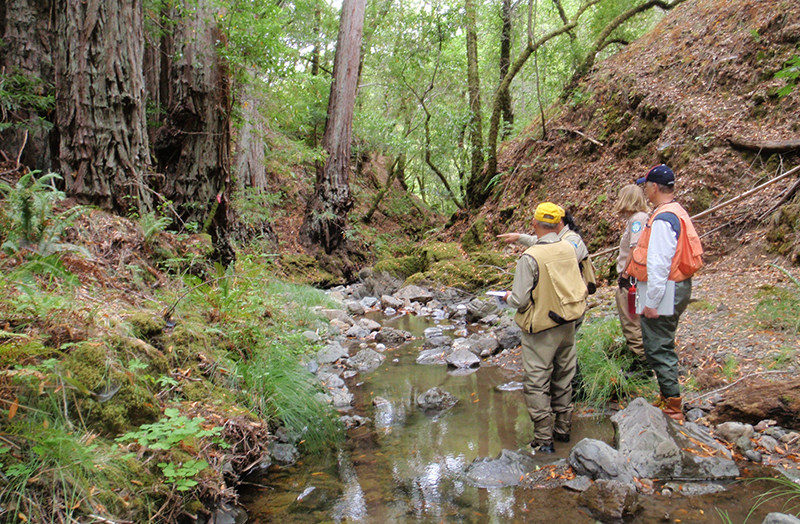 The original study scope was expanded to include evaluation of sea level rise and identified climate adaptation opportunities in Lower Sonoma Creek that are consistent with habitat enhancement goals. Mark West and Mill Creeks are well known tributaries of the Russian River watershed that support populations of coho salmon. Over the years, watershed partners have worked diligently to monitor, catalog and analyze data from these creeks to accurately address natural resource concerns, and meet watershed scale natural resource management goals, that provide solutions for both wildlife and rural communities. To augment this great work, the RCD is excited to announce that we have been selected by the Wildlife Conservation Board to receive Proposition 1 funding for flow studies in both Mark West and Mill Creeks. The RCD and our partners have been working on streamflow-related issues in these watersheds for almost a decade, and the newly-funded studies will add an important tool in our toolbox for identifying stream reaches and projects with the best potential to improve streamflow for coho salmon while securing water for the people that also depend on it. The Coast Range Watershed Institute will serve as lead technical consultant to develop a comprehensive hydrologic simulation model for each watershed. In Mill Creek, the effort will be enhanced by the participation of Trout Unlimited, who will work with the RCD to collect groundwater elevation data in a targeted reach to refine the model. 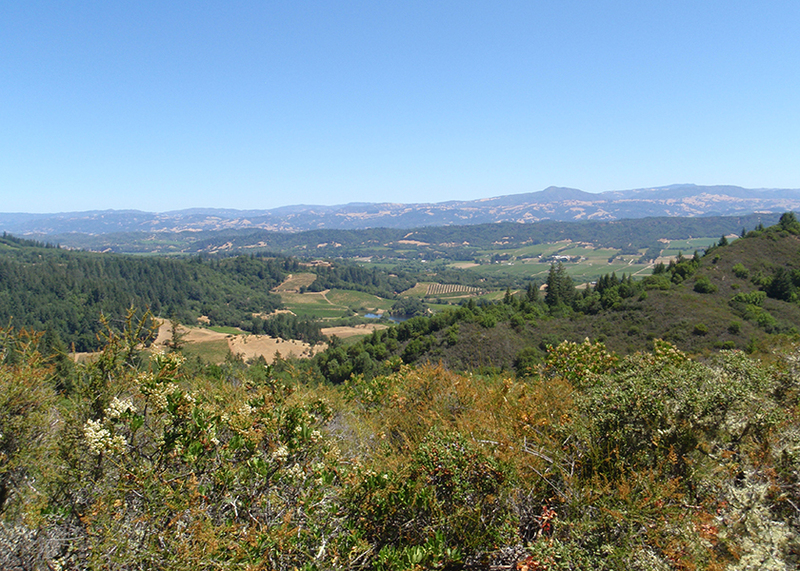 In Mark West, the effort will be enhanced through the participation of Pepperwood Preserve, Sonoma County Regional Parks, and the Friends of Mark West Watershed, in order to collect on-the-ground data that can refine the model, and then use model outputs to identify pilot projects on public and preserve lands. In each watershed, the RCD will coordinate stakeholder involvement and technical input in order to make the models as robust and useful as possible. The RCD is currently offering assistance to owners of vineyards and rangeland to develop LandSmart Carbon Farm Plans. These plans assist landowners in identifying practices which encourage the sequestering of carbon from the atmosphere in an effort to not only improve productivity, but support the health of our environment. Carbon farming involves implementing conservation practices that are known to improve the rate at which CO2 is removed from the atmosphere and converted to plant material and/or soil organic matter. Best management practices also increase soil water infiltration and holding capacity, increase crop or pasture productivity, and helps protect water quality while improving wildlife habitat. Please contact us to learn whether grant funds are available for assistance in your area. In the future, we also plan to offer these services to orchard owners. 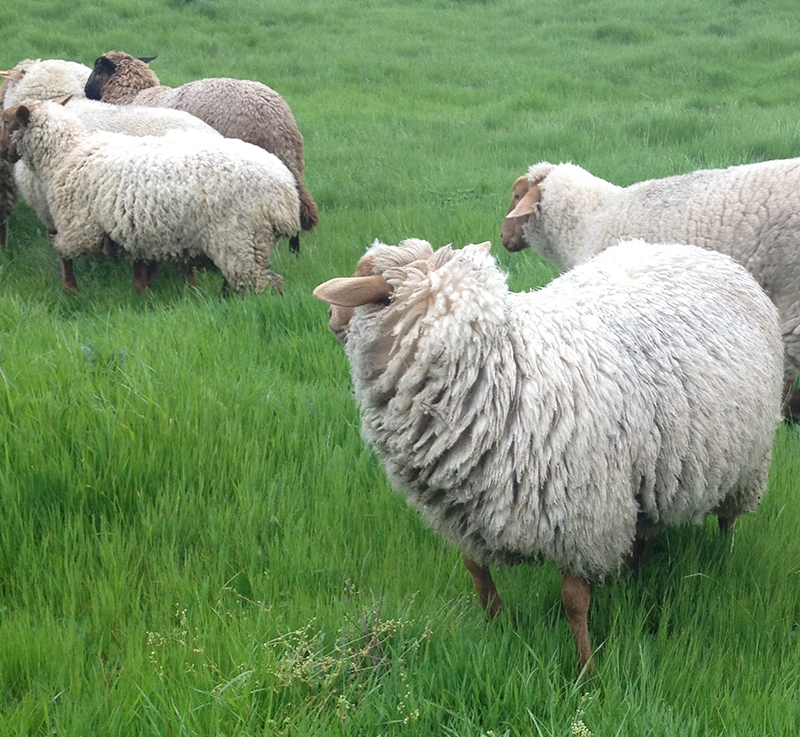 For more information regarding carbon farming on rangeland, dairies or confined animal facilities please contact Kari Wester, Project Manager, at kwester@sonomarcd.org or 707.569.1448 ext 101. For information on vineyard carbon farming services please contact Anya Starovoytov, Project Manager, at astarovoytov@sonomarcd.org or 707.569.1448 ext 109.